View More In Cable Raceways. You are still bothering about wire clutter, this product can solve it for you. A multi-purpose box, put the plug in the inside, can put the phone on the screen, watching the drama is not delayed. Sockets provide extra space for charger adapters, wires, etc. Easily clean up messy cables to keep your space tidy. 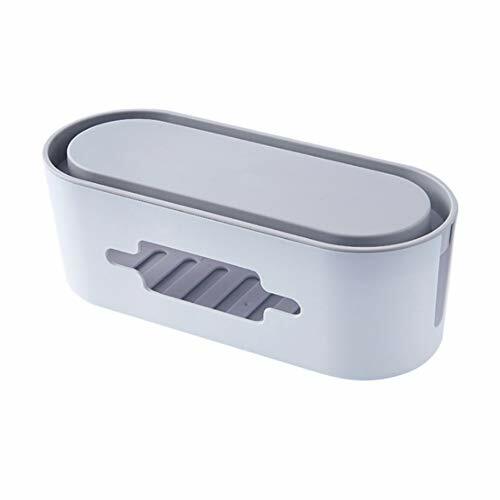 Easy to use, the perfect cable hidden box is suitable for office, kitchen, bedroom and other floor or power boards on the desk, smart phone charger, computer cable and TV cable. It is porous and has a large hole design. It can be charged at the same time, hollowed out and has good heat dissipation. The top has a detachable cover that hides the power strip and cable tightly, protecting children and pets from easy opening and direct access to electrical equipment. If you have any questions about this product by Yooan, contact us by completing and submitting the form below. If you are looking for a specif part number, please include it with your message.